What’s more local than a homebrew bar? 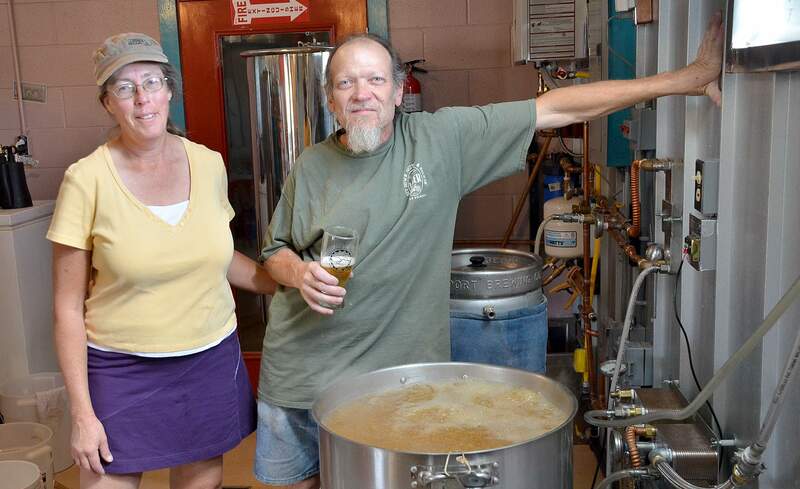 Kathy Hands and DeWayne Jackson, owners of Mancos Brewery Co., plan to have five beers on tap. Mancos is now home to a brewing company on Railroad Avenue that plans to cultivate community by giving homebrewers an outlet for their work. Owner Kathy Hands and brewer DeWayne Jackson opened the Mancos Brewing Co. late last month, and they plan to roll out their house beers at a grand opening later this month. Jackson plans to have five house beers always on tap and five rotating beers, so there will always be something new. Varieties will include wheat, barley, rice and some fruit beer. Jackson got his start as a homebrewing enthusiast and went on to work for Moab Brewery. He helped grow the business from a small brewpub into a company with a distribution across 12 states. But after 5½ years, Jackson decided it was time to make a change and get back to smaller business model. “Moab was growing into a place where I wasn’t happy,” he said. He decided to come to Colorado because the attitude of Colorado toward brewing is more welcoming than in neighboring states. Mancos stood out to Jackson, in part because of its size and because of its warm community. “It seems to be a close-knit community in many ways,” he said. Hands and Jackson settled on their location in early March and renovated the former cabinet shop into a cozy pub. For Hands, starting her own business was about leaving life as manager of someone else’s operation and owning her own mistakes. “It comes down to wanting to be my own boss,” she said. Both hope to cultivate a feeling of community around beer. Jackson hopes that by serving beers from area home brewers, it will help take their brewing experience to the next level. He is also willing to work with local brewers to avoid common mistakes and perfect recipes. “We’re in this to have fun,” Jackson said. Sales from these beers will go to support area nonprofits, and homebrewers will earn credit to spend at the bar. For nonbeer drinkers, the bar also serves local Guy Drew wine and, eventually, some mixed drinks made with house soda and rum supplied by Mancos Valley Distillery. But it will not be a full bar. As for the food, Hands promises a simple rotating menu that will feature locally sourced healthful options, like veggie wraps and bread made in-house. The two also plan to expand the building with a patio, so it can house more guests. The new brewery is next door to Gary’s Repair and is open from 4 to 9 p.m. Thursday through Monday.